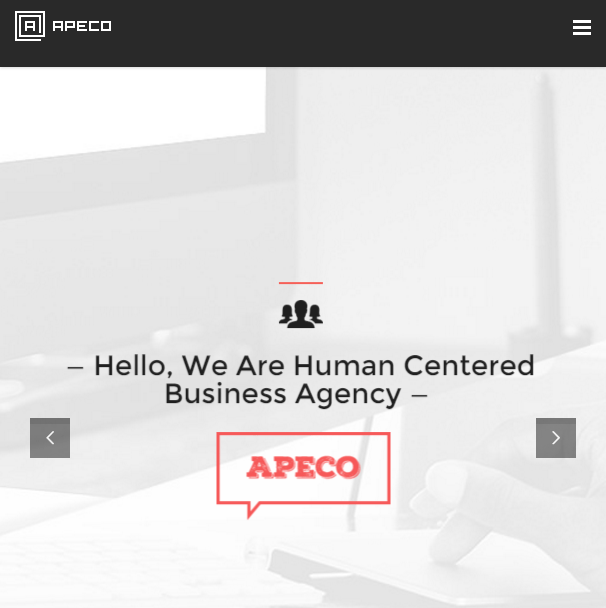 Hygge is a multipurpose WordPress theme suitable for Corporate and Ecommerce websites. It is a well documented theme that will guide you in building site with it, also it is responsive and retina ready hence it can easily adapt devices ranging from desktops, laptops, tablets, mobile phones to iPads and iPhones. 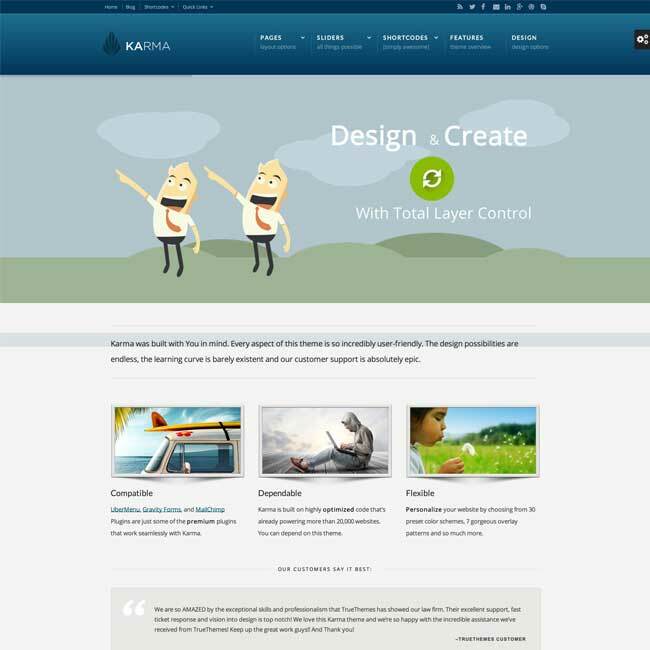 On activating this theme you get theme options panel which has lot many powerful settings to choose and customize site with few clicks without any knowledge of coding. The theme is also compatible with a powerful plugin called WooCommerce. On activating this plugin in theme you can build your own online shop easily. This plugin will establish a Payment gateway in your shopping site. The most important feature of this theme is that it is compatible with a powerful page builder plugin called Visual Composer using which you can build any web page with any desired structure. Visual composer comes packed with elements like Text Block, Row, Separator, Posts Slider, widgetized Sidebar, Button, Call to Action, and many more. Just drag and drop these elements to obtain any page layout. It contains 6 ready to use home page layouts. 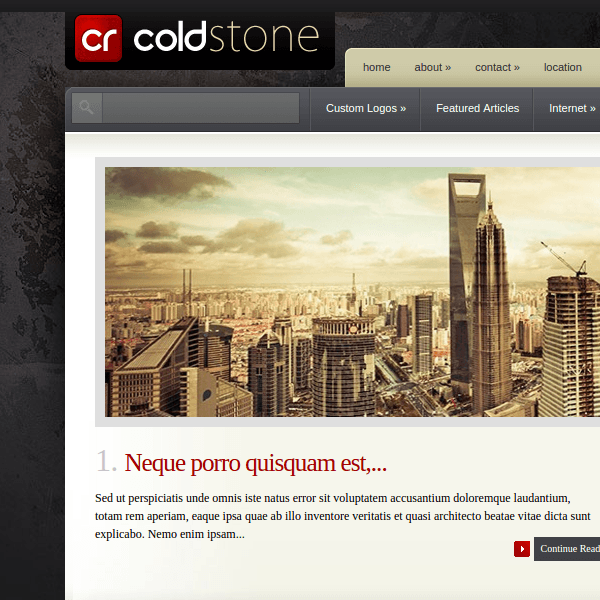 Also this theme can be converted to One Page website or say parallax scrolling website. Sliders with fullscreen, fullwidth and boxed layout. Portfolio layouts: Detail grid portfolio, Grid portfolio 3 to 4 columnn, etc. Blog layouts: Classic blog, Classic blog sidebar, Boxed Classic blog, Boxed Classic blog sidebar, Timeline blog, grid blog sidebar, Grid blog, boxed blog post, blog post. I loved the full width slider on homepage that comes with this theme. This theme impressed me. My website looks very attractive on all types of devices that means this theme is fully responsive. This theme is compatible with eCommerce and WooCommerce plugins because of that I can sell my products on my website. 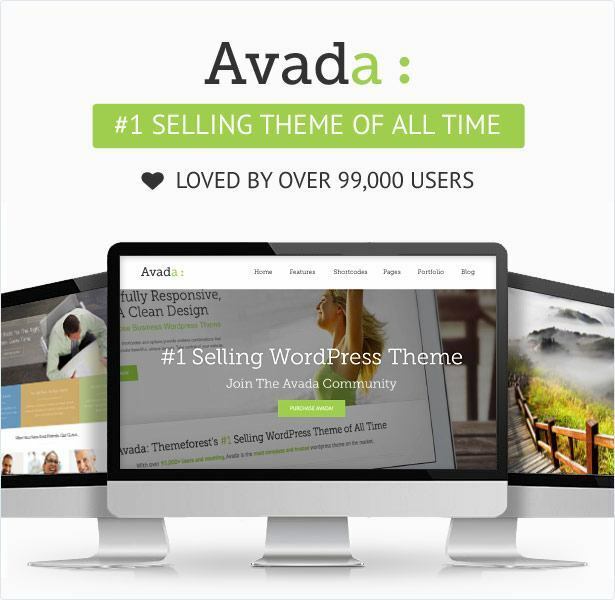 Nice theme for make your online business…! 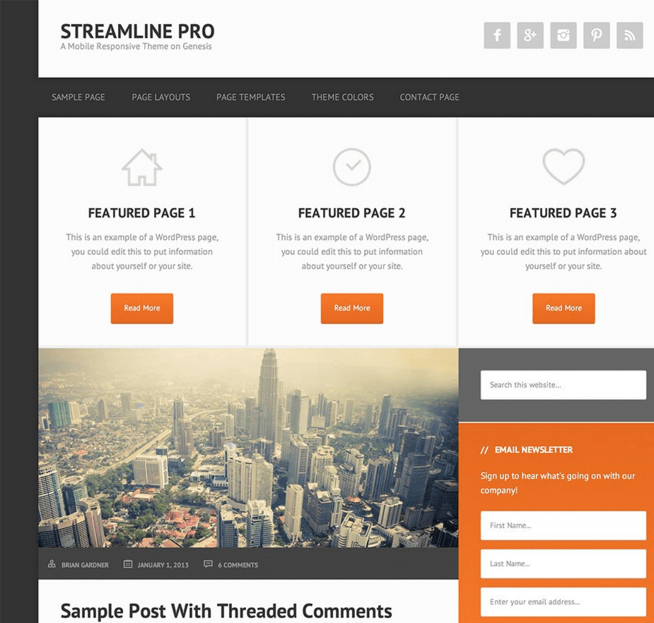 Multipurpose WordPress Theme : Business, Blog and Magazine. 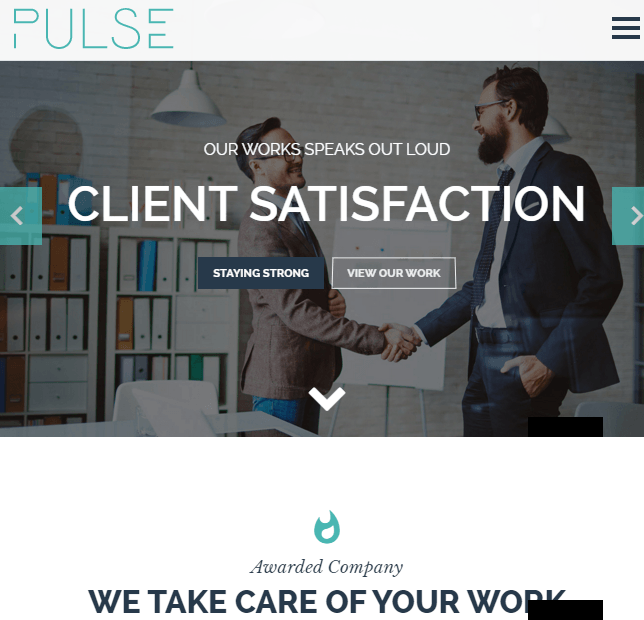 One page+Multipage theme for Business websites.